You guys, I am LOVING these books! I’ve been eyeing them forever and I finally bit the bullet and ordered a couple for Christmas and my son’s upcoming first birthday. 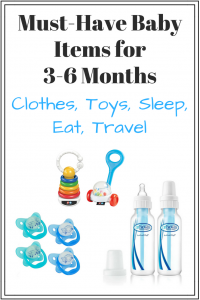 If you’re looking for affordable personalized baby gifts for a shower, birthday, holiday, or anything really, these are it! 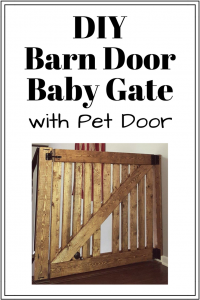 So cute, fun to make, and personalize for the child. Read on for my Wonderbly Lost My Name book review, plus details on the process, durability, hardcover vs. softcover, and more. Seriously, you’re going to love these books! 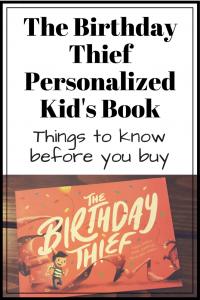 I chose their classic, The Little Boy Who Lost His Name, and their new book, The Birthday Thief, for my son because we have both Christmas and his birthday coming up. 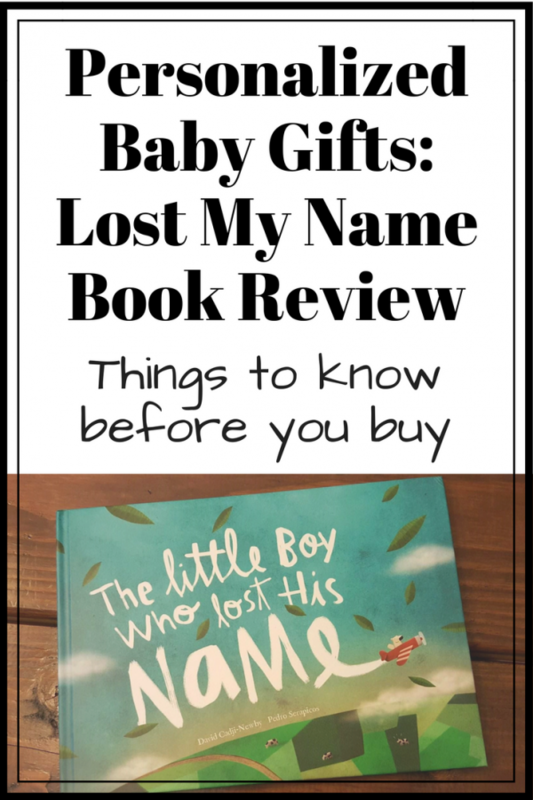 I’ll focus on the Lost My Name book review on this post but make sure to also read my The Birthday Thief book review! The Little Boy Who Lost His Name is about a boy (or girl) who loses the name on their bedroom door. They go on a journey to find their lost name and meet some fun and curious creatures along the way. 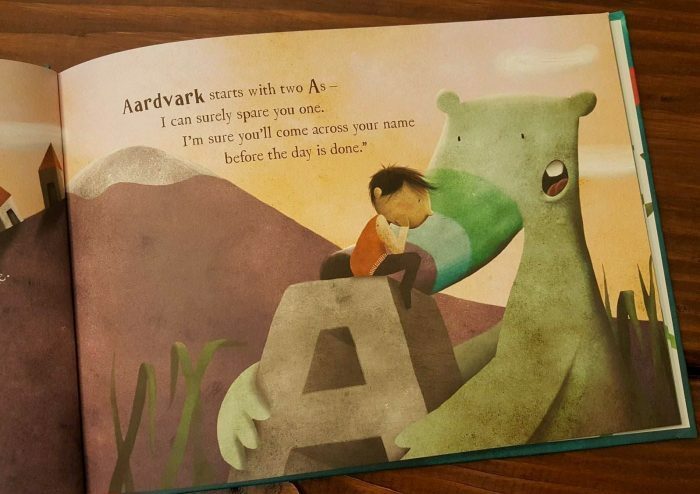 Each of these creatures lends the child a letter to help them recover their lost name. In the end, the little boy realizes the letters spell out his missing name. It’s such a cute, magical, timeless story that helps kids learn their name, letters, and spelling. I just LOVE it and I can’t wait until my son understands how special it is. The process for making your personalized children’s book couldn’t be any easier. Visit their website and follow these steps and you’ll be done in just minutes. I created The Little Boy Who Lost His Name book for my almost 1-year-old son. If your child is older it would be so fun to include them in the design process. You could even keep it a secret by asking them this or that questions without giving away the reason. It would be like someone magically built their perfect book just for them! Start by building the base of the book. Enter the child’s name, select boy or girl, and pick their character. 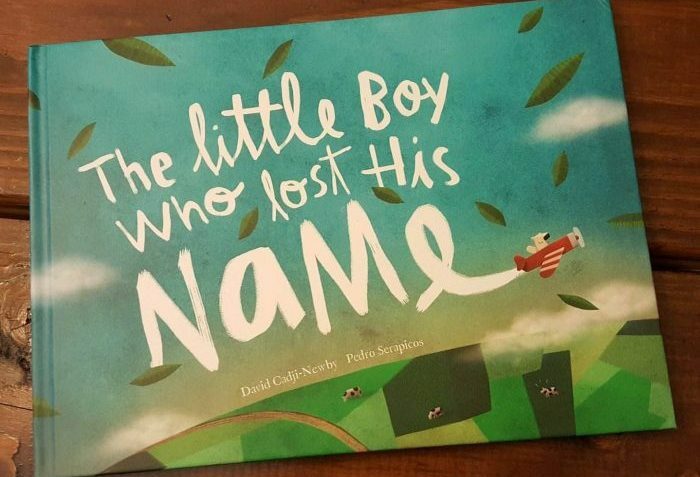 The folks over at Wonderbly have created 3 characters for The Little Boy Who Lost His Name book and 3 for The Little Girl Who Lost Her Name book. This is the best part. Wonderbly gives you a few options for each letter in your child’s name. As I mentioned, you can build the book yourself, involve your child in the making of the book, or be a little sneaky and ask your child which character they like better (the Jaguar or the Jester for example) while not spilling the beans on their Lost My Name personalized children’s book. So much fun! There is a great variety of common animals and more curious creatures to choose from making the book really unique and special. Both the hardcover and softcover books are made with really durable paper. You could easily get by with the softcover option for all of the books, as long as you don’t let your infant/toddler play with them. My son puts EVERYTHING in his mouth so Indestructibles are the only books we physically let him play with. Everything else is just for reading, which he also thoroughly enjoys. So what I’m saying is, you can’t go wrong with either. There is also a deluxe hardcover and keepsake softcover options that come with dust covers for extra protection. The Wonderbly Lost My Name book starts you off with a suggested dedication that you can add to or delete it all and start from scratch. Their message was so sweet we choose to add to it. The dedication page is just an extra special touch to an already awesome personalized children’s book. We plan to sign our names below the book dedication for a personal memento when he’s all grown up. They offer wrapping paper for gifts and expedited shipping if you’re in a pinch. Our books were printed and shipped very quickly and came in a cute, printed cardboard envelope. I was so excited to get the books I ripped the package open before taking a picture (oops) trust me when I say it was super cute. If you’re shipping it to someone else as a gift, the outside is very cute but wrapping paper would add an extra special touch inside the cardboard envelope. And that’s it! In no time you’ll have your personalized The Little Boy Who Lost His Name book to cherish forever! The book itself is well made. The printing is beautiful, the colors are vibrant, and the story is fun and engaging. Bonus, and what I hate about buying other children’s books online, you can read THE WHOLE STORY before you purchase the book. You can change the creatures to get the perfect story for your children and pick a character they will love. There is nothing worse than ordering a book online and hating it. Not an issue with Wonderbly books. You get to read the whole thing before committing and customize it to your liking. The BEST. 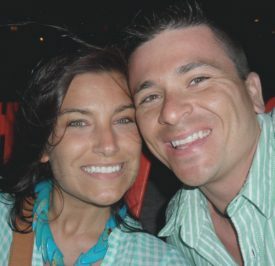 Now, fair warning, I’m about to get real cheesy and sentimental, but for good reason. In a world full of mass-produced products, this is something different. It’s the special item that’s comforting and reminds you of family. It’s rewarding all around. You get to put love and thought into a really special gift and the child receives something that is made just for them. It’s something our son will always have from when he was just a baby that is personalized and he can take with him when he’s older. I still have books that were special to me as a kid that I love looking back on now (The Story of the Easter Bunny by Sheila Black makes me cry to this day). You just can’t go wrong with these books. Seriously, the whole family will love them. 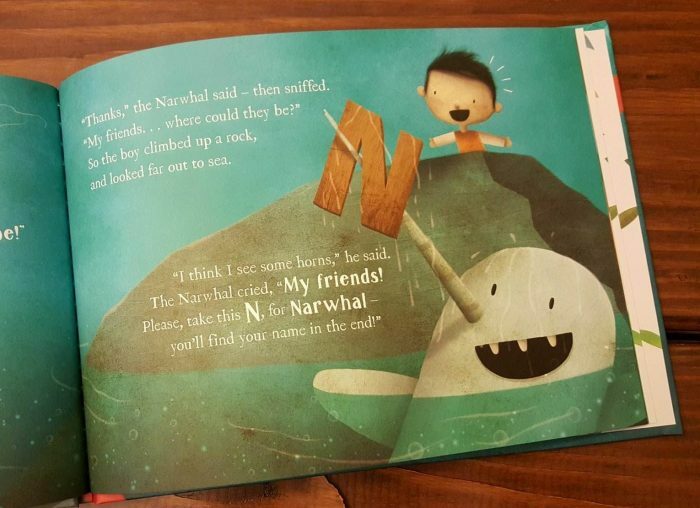 Did you make a personalized children’s book from Wonderbly? Share your story and reviews in the comments below!